It’s amazing what dogs learn to do for themselves, or rather for each other. 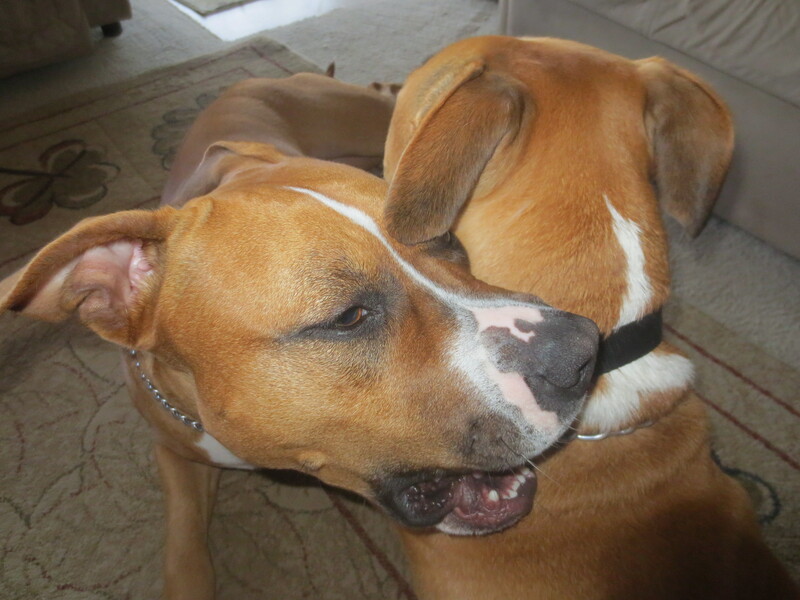 Rosee is doing her sisterly duty and trying to get Simon’s collar off for him. And sometimes they’re just too darn smart for their own good. Recently we decided to invest in the Illusion Collar developed by Cesar Millan for Rosee. 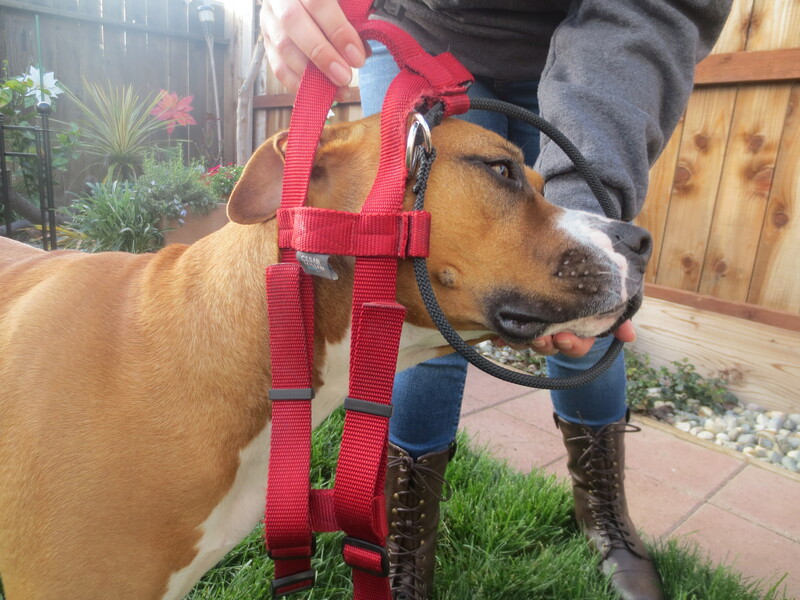 While this collar may look a little complicated it is actually pretty easy to use. As can be seen in the picture, the collar has a black rope that slips over your dog’s head and the two buckles wrap around your dog’s neck in order to keep the rope in place at the top of the neck. The point of this collar is to keep the rope part of the collar in place so that when your dog pulls it cinches and she/he stops pulling. It works similar to a chain collar or even prong collar, which are often used when training a dog to walk without pulling. However, the nice part about this collar, and the main reason I decided to try it, was because it’s designed to keep the collar in place on the neck where it is most effective. In the past, Monica and I had tried using a regular chain collar because, frankly, it was easier to put on than a head harness (also known as a gentle lead), and we were hoping the dogs wouldn’t rub their faces so much. You see, while a head harness was a pretty nice option because it went around Rosee’s nose and she couldn’t choke herself, both Rosee and Simon could not stop rolling around on the ground and rubbing their faces. At first, I thought they were doing this because they weren’t used to having something on their faces, but after using these harnesses for some time it was clear that these leads made them uncomfortable. Also, it seemed everywhere we went people assumed that Rosee had a muzzle on just because she was wearing a head harness, and would make not so nice comments about how mean she must be, which is ridiculous since with a head harness she was still able to open her mouth fully, but I’m getting away from the point. In general, the regular chain collar worked out okay, though we were still having issues with the chain falling out of place, and Simon had trouble with the chain collar anyways. Therefore, we eventually settled on using a head harness. After a few months of using this lead I found that Rosee wasn’t necessarily learning to walk on her leash loosely, but rather she was just more easily controlled. Mostly, I feel as though I hit a wall with Rosee. She was doing better out on walks in the sense that she wasn’t pulling a whole lot, however she wasn’t getting any better at the skill of loose leash walking. When she saw something that scared or excited her she would start to pull and not pay attention to me at all. The biggest issue though was that in these instances she would become very anxious due to the straps that wrapped around her nose and mouth. Another big issue was that while this harness was supposed to be inescapable, Rosee and Simon could always manage to get the straps off of their faces. Overall, a more reliable collar that wouldn’t cause Simon and Rosee so much anxiety was needed. Enter, the Illusion Collar. When Monica first showed me this collar I thought it would be a great alternative and that there was no way either of the dogs could get it off of them. Initially, we only purchased one for Rosee because they are a little pricey (about $45) and we didn’t want to buy two if it turned out not to work for either dog. When you order this collar it comes with both a collar and a matching leash. 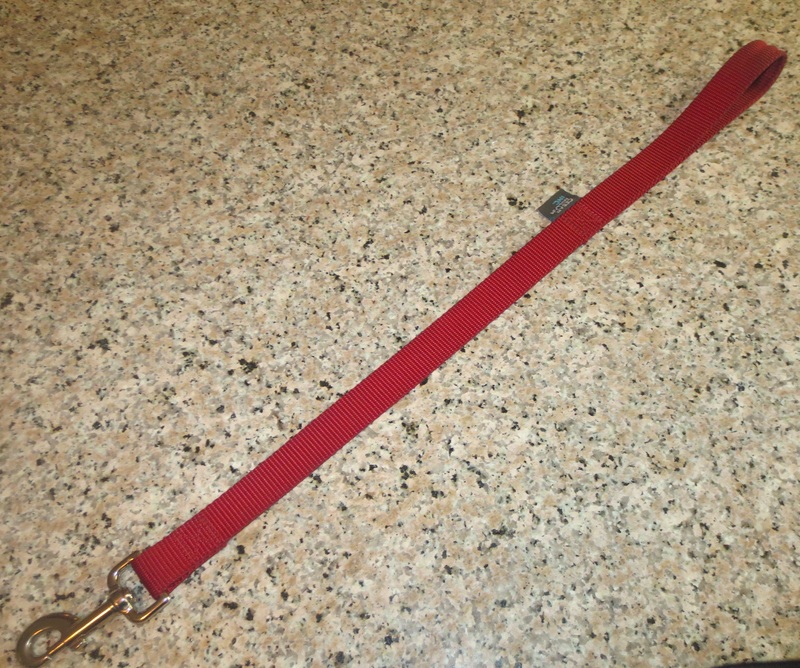 Depending on the size of the collar you purchase that determines the length of the leash. 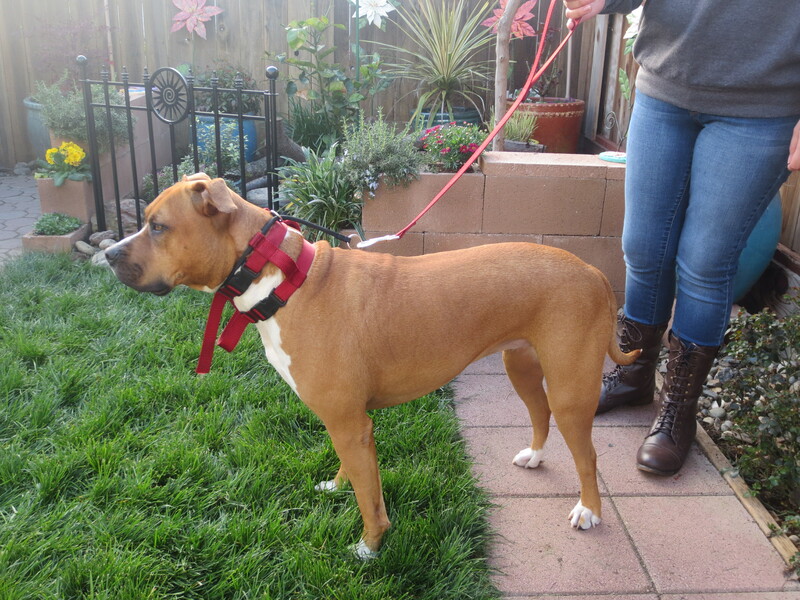 For instance, the collar we purchased for Rosee was a size large and so the matching leash was a shorter leash to help aid in keeping your dog close to you. This collar definitely took some getting used to. It was not one of those magical fixes that made Rosee instantly perfect the first time we put it on her and went on a walk. In fact, the first few times I walked her with it all I did was walk around a nearby park and treat her every time she walked next to me. As a human, it took some understanding of knowing when it’s the right time to tug, gently of course, on the leash. To be frank, it took me and Rosee and good week to get the hang of this collar and it was a good three weeks of using it every day before Rosee learned to walk next to me. Of course, that’s not to say that she doesn’t still have her moments where she pulls because she certainly does. For the most part though, Rosee is doing really well with the Illusion Collar and I couldn’t be happier. For Rosee this collar was a great buy for many reasons. First of all, it is much more secure and there is no way she can escape from it. Secondly, not having any sort of restraints on Rosee’s face has lessened her anxiety pretty significantly. Not only did she stop rubbing her face on the ground whenever we pass a large grass area, but she has stopped getting as anxious in situations that usually cause her anxiety. Lastly, or should I say thirdly (or is it third of all? ), having Rosee on a short leash has made a huge difference. Rosee is forced to be right next to me, which has made it easier for me to recognize when she starts to become anxious or fearful of something and I can redirect her attention or distract her right away. Her behavior isn’t allowed to escalate, and so she has been able to make positive associations with typically stressful situations. Furthermore, she pays much more attention to me instead of worrying so much about what another dog in the park or person on the street is doing, which is extremely important because it means she trusts me to protect her and be what she needs. Honestly, for Rosee the Illusion Collar turned out to be a great buy. Before I end this review I do want to make a few things clear. This collar is not for every dog. It is for dogs with, let’s say, sturdier necks and definitely not for smaller dogs either. Particularly, if you have a dog that’s an extreme puller who doesn’t respond to the cinching I would be wary to recommend this collar because then all you would be doing is choking your dog and that can lead to some very serious consequences. In fact, despite the success I had with Rosee and this collar, I was hesitant to buy this collar for Simon because he’s never done well with collars that cinched to get him to stop pulling. In the past when I’ve used a chain collar on him it has never bothered him that he couldn’t breathe when he pulled, and I didn’t want to use a collar that could potentially hurt him. However, after much thought Monica and I decided to go ahead and buy an Illusion Collar for Simon because his anxiousness in a head harness had gotten out of hand, and he needed a collar that did not sit on his face. I certainly do not regret buying him an Illusion Collar, but learning to use it with him has been quite a different experience than it was with Rosee. One of Simon’s biggest issues has always been his impulse control, and so learning to walk on a leash that is loose much less beside me has been difficult for him. As a result, my approach to using the collar with him has been quite different in that I use a longer leash, employ the “turn around” method when he pulls, and make sure to treat him when he’s walking next to me and especially if he looks at me. (These are all methods I’ll explain in more detail in an upcoming post about loose leash walking.) It has taken him a bit longer to get the hang of the Illusion Collar, but the hard work on both our parts has paid off. This collar has bee much better for Simon than any other collar I’ve used in the past, and almost immediately he stopped rubbing his face on everything. Finding the right collar has definitely made a big difference for Simon and Rosee, but I do want to remind everyone that this is only half the battle. Teaching your dog to walk on a loose leash is a skill that takes training and time. For most dogs it doesn’t happen overnight, but with the right tools and some perseverance it can happen. Lupine Pet Collars…what can I say? I am in love with this brand of collars. Honestly, I these collars are one of the best things I’ve ever bought for Simon and Rosee. Not only are the collars sturdy, they come with a “Even if Chewed Guarantee” and their products are guaranteed for life. Before I get to the review of said collars though, let me tell the story of why such a collar was needed in the first place. For the longest time the collars we bought for Simon and Rosee were nothing special. They were just collars, plain and simple. Recently though, Rosee and Simon have developed a bit of a bad habit. 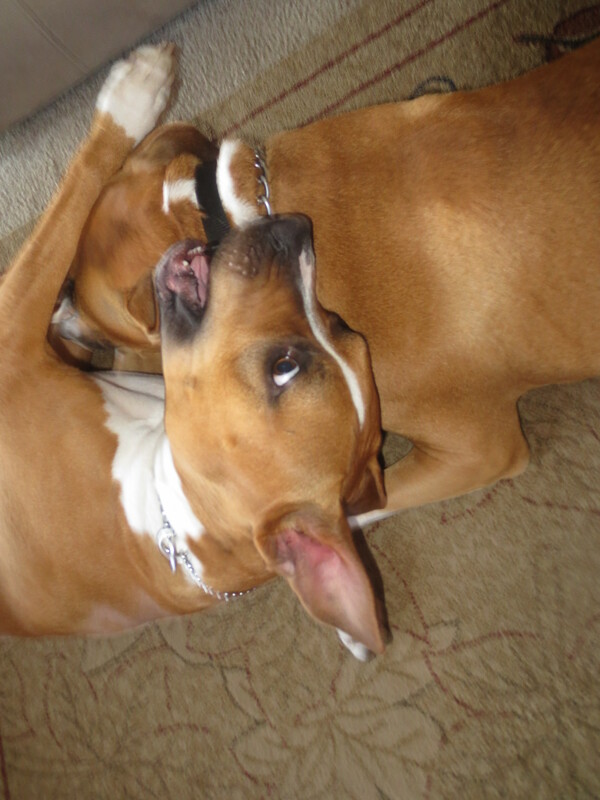 Instead of wearing their collars around their necks, you know like normal dogs, they take them off one another and play tug-of-war with their collars until it’s in shreds. Then they like to take those shreds of collar and chew on them like they would a bone. I know it sounds crazy, that Simon and Rosee know how to unbuckle one another’s collar, but I’ve witnessed this phenomenon on more than one occasion, and to be honest, it’s actually pretty incredible. Anyways, Simon and Rosee have become quite accomplished at this task, which despite its awe-inspiring effect, is not good. This became quite clear after a particularly poignant incident when Simon decided to eat part of the collar. Luckily, the collar that he ate eventually made its way back up, and he was fine. Still, it was decided that when they were left alone outside (when the collar stealing happened) their collars would be taken off. Personally, I wasn’t a fan of this solution because if something happened and either one of them got out of the backyard, which is highly unlikely but you never know, they wouldn’t have any sort of identification on them. Of course, both of them are microchipped, but tags are easier in identifying animals, and what if they were caught by someone who didn’t have a microchip reader but was just trying to do a good deed. This did actually happen one evening when I found a dog wander into my front yard and was able to identify his name (quite serendipitous that it turned out to be Simon) and owner information by his tags. Ultimately, it was decided that the dogs would only go outside in the backyard if someone was home to keep watch and ensure that their collars stayed on their necks. In the meantime, they both still needed collars for when they did venture outside, whether it was for walks or other adventures. Yet they had ruined quite a few collars, and I was reluctant to go out and buy them another one of the same. 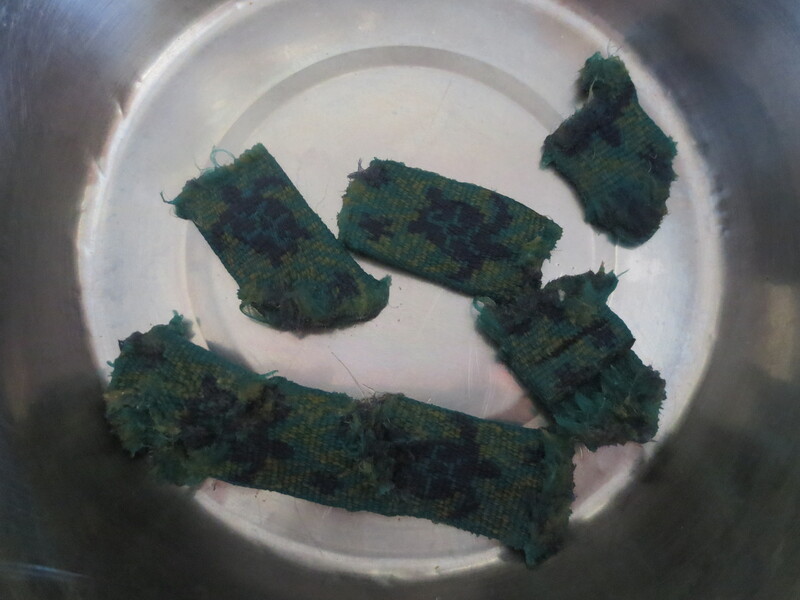 I think the final total of destroyed collars was about four a piece. It may not seem like much, but when each collar was at least ten dollars and their tags needed to be replaced as well, it soon became expensive. Fortunately, one day while browsing the various local pet stores in town for a sturdier collar I came across Lupine dog collars. Not only did the Lupine brand offer various designs, but they were fairly inexpensive and the best part was that they come with an “Even if Chewed Guarantee”. As you can image this guarantee was what really sold me about these collars. After spending way too much money in replacement collars, buying Lupine collars was really a no brainer because not only are these collars guaranteed, but they’re guaranteed for life. Did you catch that? Let me say it again: the collars are guaranteed for life! Actually, all the Lupine products are guaranteed, but I’m focusing on the collars here. 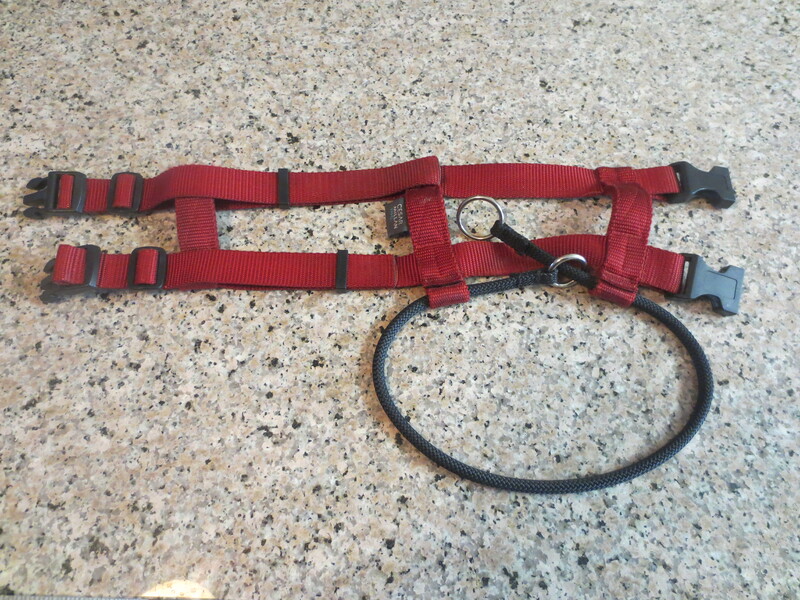 (Lupine also makes harnesses, leashes, and stuff for cats.) 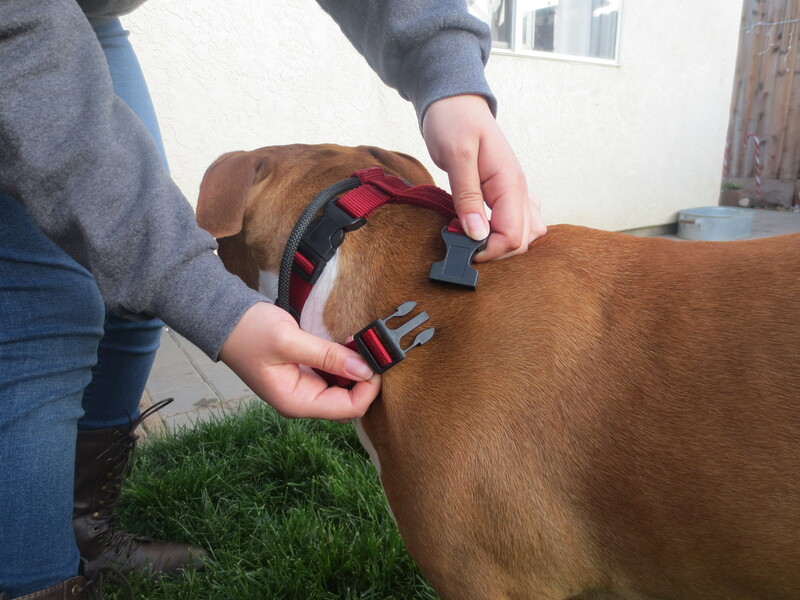 Lupine makes it super easy to exchange collars too, which is a major plus. In order to receive a replacement item you can mail it back, send a picture of the item and email a form, or take it to the retailer where it was bought and get a replacement. Now, I know you’re thinking that a guarantee like this one is superfluous, but it really does come in handy. With all of the toys, bones, blankets, and other items Simon and Rosee have been through over the years it’s nice to find a company that stands behind its products. Moreover, it’s a big relief when after about 8 ruined collars I didn’t have to spend yet another ten dollars to buy a new one. Best part ever! Rosee did manage, despite my best dog-sitting skills, to steal Simon’s collar off of him and rip it into pieces. This was all that we could find of Simon’s collar, and once we mailed it to Lupine it took less than a week to get a replacement. I really can’t recommend these Lupine pet collars enough. It is a purchase you definitely will not regret.